Review: Lil Durk's "Remember My Name"
Home>Reviews> Review: Lil Durk's "Remember My Name"
Chicago's other 'lost boy' finally gets his moment, but is it too little too late? 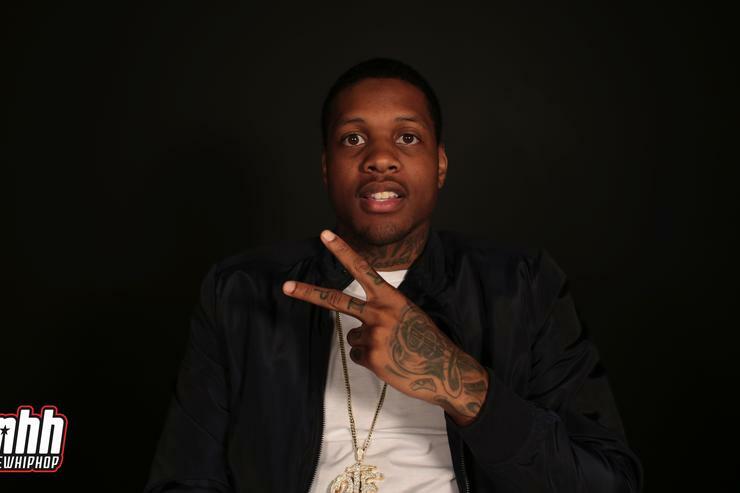 While frustratingly long in the making, Durk's official debut still feels undercooked. Strong attempts at tapping into the rapper's crossover potential ("Like Me") sit beside records often markedly blander than his celebrated mixtape work. His ever-improving technical ability and melodic sense still manage to shine through, but "Remember My Name" fails to present Durk as the talent we already knew him to be. Durk knows how to sing and rap, both with auto-tune, of course. His versatility is obvious, though he often lacks confidence while wavering between the two mediums. Also, he hardly abandons the drill scene, as he's recently avowed to. He doesn't need to, but it's another issue of identity that surrounds his debut. Durk's mixtapes succeeded due to his ear for melody and great chemistry with his producers. On "Remember My Name," he branches out, trying out collabs with Southern producers and more weighty themes. There's still some to love ("500 Homicides," "What Your Life Like"), but nothing else really pops like the melodies of his prior releases. Overdue, and not quite what you'd hope for. To say that the dawn of drill feels like yesterday would be generous at best. It's been roughly three years since Chicago's rap explosion took the world by storm, and now it feels like you're sifting through the rubble. So many promising talents have struggled to live up to the hype, gotten lost in the blogosphere, or become unrecognizable. And that's if you're lucky enough not to die or go to jail. Lil Durk was always one of the first. For a good few learning to turn their eyes to Chicago for the future, it wasn't Chief Keef who initially attracted them, but Durk. An auto-tune wielding young terror, he could rap more aggressively than some of the most feared 'trappers' in the public eye, and still had a keen ear for melody on early bangers such as "I'm A Hitta" and "Jackboy." Unsurprisingly, he and neighbor Lil' Reese were some of the first big signings, with neighbors like the aforementioned Keef and King L soon to follow. Since then however, it's been a confusing period. After Keef, one would figure a Durk album would swiftly follow. Not to say that Durk hasn't been productive; he's been frequently collaborating with street rap heroes like Meek Mill and French Montana, he's dropped tapes with enormous street bangers (conspicuously missing from his debut album, but more on that later), he'd even taken local upstarts like RondoNumba9 under his wing. But when Lil' Mouse managed to drop an album before Durk, it seemed like the moment was dangerously close to slipping from his fingertips. Almost three years after making a name for himself, was Remember My Name too little too late? To say that the album doesn't start off hard would be an absolute lie. Between the one-two combo of the C-Sick produced "500 Homicides" and Metro Boomin's "Amber Alert," one can see that very little about Durk has changed for the worse over the years. He's still as hard-hitting and blunt as ever, but has managed to depend less on tired cliché punchlines, opting for a more introspective tone. From there we slide into the auto-tune reinforced "Like Me," which features a particularly sleazed up performance by fellow Chi-town Representative (and similarly left in suspended animation by Def Jam) Jeremih, while Durk waxes poetic about the trials and tribulations of fame and success, like any good rapper. Sarcasm aside, Durk can command the gravitas to sell what he's saying. And then there's "Lord Don't Make Me Do It" which, honestly, for all its dreams of revenge fantasies and that creeping guitar lick, sounds like Eminem. Are 8 Mile and Englewood closer than you think? From that point, the album dips a bit into an unfocused mid section. "Don't Judge Me" manages to feel both under and overproduced at once. While Durk sounds absolutely rabid on "Tryna Tryna," with inexplicable hints of dance-tempo bleeding into the beat, you then get subjected to Logic's best incorporation of all the most boring aspects of Drake, J. Cole and Kendrick Lamar at once. The less said about the cuts which follow, "Higher" and "Resume," the better, as they just flop short of their intended targets. Just when you think that its about to peter out, Durk returns with some of the best songs of his career. Over a particularly spartan Young Chop beat for "What Your Life Like," he grills his would-be haters on their fake internet persona, deflects auto-tune criticisms and vents frustration in trying to feed his kids. Then, arguably the Young Chop of the last year, London On The Track, with a collage of paranoiac keys and organs, drenches "Why Me" in a monochromatic bleariness. All in all, the chrome cries of Durk start to regain their somber quality during this closing stretch, reminding us of the tragic world that this promising artist has done his best to embody and escape at the same time. All in all, Remember My Name is a great showcase for Lil Durk. His development as a rapper is unquestionable on a lyrical front, and the way he demonstrates just how many flows are in his arsenal on "500 Homicides" alone shows someone still eager to flex his skills, to prove to the world he deserves his fame and then some. While his auto-tune mastery hasn't become as seamless as it would for someone, like say Future, there is a moderate pop sensibility being worked out, with flourishes of creativity hardly encouraged in the realm of street-rap unless it's by "weirdos." Yet at the same time, his production choices seem a bit rooted in the past glories of drill, now a mess of tiresome cliches. But what's more exhausting is after a career of so many highs ("L's Anthem," "Bars Pt. 2," "Dis Ain't What U Want," "Right Here," hell even "Bang Bros.") that so little of the album seems to hold up against his mixtape era. Even considering their age, at least one of those songs might have boosted the quality considerably. It's disappointing to say, but between the prolonged delays and the scatter-shot results, Remember My Name just doesn't feel like the Lil Durk album that his fans know he's capable of. Yet that isn't to say this record doesn't provide you with glimpses at the Durk we're waiting for, if he could only just realize his dreams. REVIEWS Review: Lil Durk's "Remember My Name"